AP EAMCET Application Form 2019 - The application form of AP EAMCET 2019 is available up to April 19 with late fees. JNTU, Kakinada has released AP EAMCET 2019 application form on February 26. The application form for AP EAMCET 2019 without late fees has been closed on March 27 by the official authority. Steps like payment of application fee, registration, filling of the form and taking the printout are included in AP EAMCET 2019 application process. Candidates need to note that they will have to pay the application fee of AP EAMCET 2019 first, before proceeding towards filling the form. The final date for submission of application form was March 27, 2019. Candidates who missed the last date to fill the application form of AP EAMCET 2019 will have to pay the requisite late fee as requisite by the authorities. To apply for AP EAMCET, the candidates must meet and check the eligibility criteria for filling the application form. In case, candidates commit any error while filling the form, they don’t need to worry. The authorities have provided the correction facility from April 6, 2019 to rectify the errors. The entrance exam, AP EAMCET 2019 will be held from April 20 to 23 in online mode for admission into various B.Tech course offered in University/Private Colleges in the state of Andhra Pradesh. The application form of AP EAMCET 2019 has been closed on March 27. Students can, however, apply till April 19 by paying an additional late fee. To apply for AP EAMCET 2019, candidates will have to follow given below steps. Also, along with filling the form, they will have to pay the requisite application fees. However, before proceeding towards filling the AP EAMCET 2019 application form, keep the following documents ready. Upon entering above-mentioned details, click on ‘Initiate Payment’ and pay the application fee. Fee Payment Mode: AP EAMCET 2019 application fees will be either in online mode using net banking, debit/credit cards or at AP & TS Online Centres. Select the nearest AP Online centre. Pay the prescribed amount in cash and collect the receipt for the Registration fee paid from the APONLINE / TSONLINE centre containing a Payment Reference ID (Transaction Id). On successful payment, payment ID will be generated and displayed on the screen. Click on ‘Proceed to Fill AP EAMCET 2019 Application Form’ for the next step. Annual Income of Parents, etc. Select Language for AP EAMCET 2019- Form available options – English, Telegu, and Urdu candidates will have to select any one language in which they whish to give exam in. Candidates will have to upload their photograph and signature in the prescribed format. If a candidate has already appeared/ passed intermediate (Regular), their photographs and signatures will automatically be populated from the already existing intermediate base and will consequently be frozen. Test centre Preference: The candidate will have to select any two districts in order of their preference. Further, for each district, three preferences were allowed. Once all the details are entered, agree to the terms and conditions and click on the ‘Submit’ tab to complete the application filling process. Once the application form of AP EAMCET 2019 is submitted, the complete form will be displayed on the screen. Take 2-3 print out of the completed application form 2018 for future references. How Correct Mistakes in AP EAMCET 2019 Application Form? In case if any error is committed by the candidates while filling the AP EAMCET application form 2019, they can use the application correction facility. The authorities have closed the window for correction of AP EAMCET 2019 application form on April 10, which was available from April 6. Candidates could use this window to correct the mistakes in the application form. However, there will be certain details in the application form that candidates can not edit. For such details in application form of AP EAMCET 2019, candidates will have to send a mail to the Convener, AP EAMCET 2019 with the valid required documents. The corrections or changes in the application form (which can not be corrected by candidates themselves) will be done by CONVENER, AP EAMCET‐2019 Office, subject to thorough Verification of the Valid Documents and approval by the committee. Q. What are the certificates I need to send along with the AP EAMCET application form 2019? Where should I send it? A. You don't need to send any documents to the APSCHE office or the JNTU office. The application was online and you don't need to send it. However, only SC/ST candidates need to bring a photocopy of the Caste Certificate duly attested to the examination hall along with a copy of filled in application form, SSC Memo and Intermediate Memo and hand it over to the invigilator. Q. I hear that if I am doing my Intermediate or equivalent? Will the photo be taken from the database of the Board of Intermediate or do I have to upload it? Q. I forgot my registration No. How to get it back? A. You can retrieve it by clicking the "Forgot Registration Number" and following the given instructions. Q. 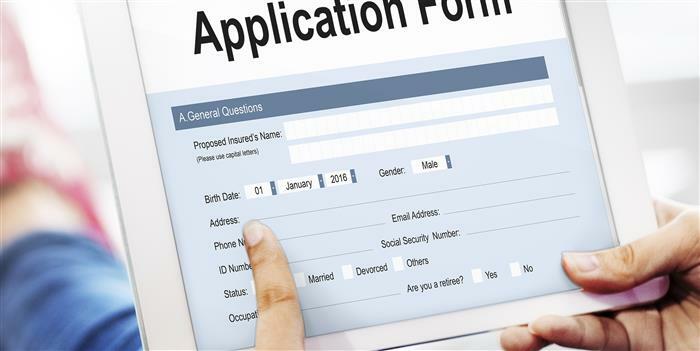 How will I know whether my application is submitted as it is online? A. You will receive an SMS on your registered mobile phone with the registration number. Further, your AP EAMCET application form containing all the details uploaded from the database and typed by you along with Registration number and Barcode will be displayed instantly. Q. I made mistakes in my AP EAMCET 2019 application form. What should I do now? A. The authorities have released the correction window on April 6 to 10, 2019. However, you can change only some details. For other details, you have to send a mail to the Convener's office along with the required documents.